To make your heart ache even more over the loss of James Gandolfini, you should know that he had a great fondness for rescue dogs — especially pit bulls! — and his final film will be a crime drama called Animal Rescue with a bully as a co-star. 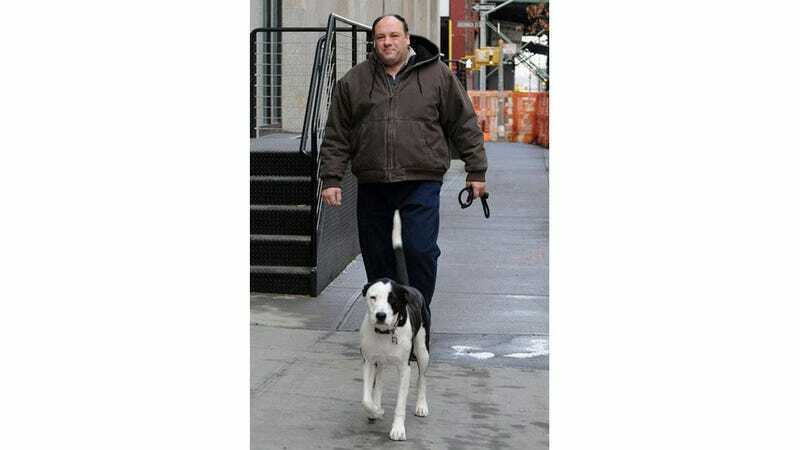 We are very saddened to hear of the sudden passing of James Gandolfini, pictured here with his rescue Duke. A great actor and wonderful advocate for an often misunderstood breed. His final film will be Fox Searchlight's crime drama "Animal Rescue" which includes a pit bull as a focal point in the story. Much beloved by those who worked with him and known to be a kind and gentle soul, we applaud his efforts to provide a voice for the voiceless and our prayers are with his wife and children, his family and friends as they mourn the loss of a life too short lived. What a wonderful person. RIP.